Did you know you can now order your Deliveroo takeaway from La Terraza here on View? 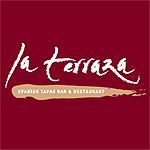 La Terraza is an authentic, family run restaurant that offers traditional Spanish cuisine made using seasonal produce. Dishes may include paella, mussels and tapas. Do you work at La Terraza? What did you think of La Terraza?